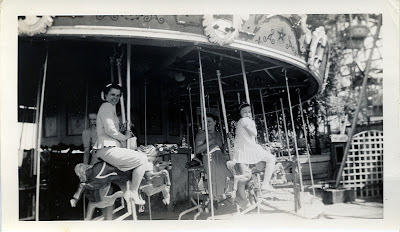 I found this wonderful vintage photograph at an antique show last weekend. 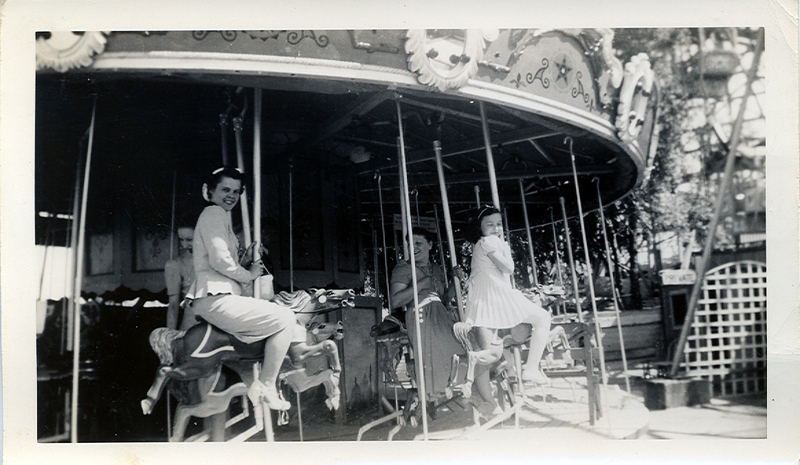 Stamped "July 30 1940" on the back, it shows several women in their "Sunday best" gleefully riding an American traveling carousel at a fair. What a joyful moment this photographer captured, during what were difficult and fearful times for so many. A New Peng Peng Bear!